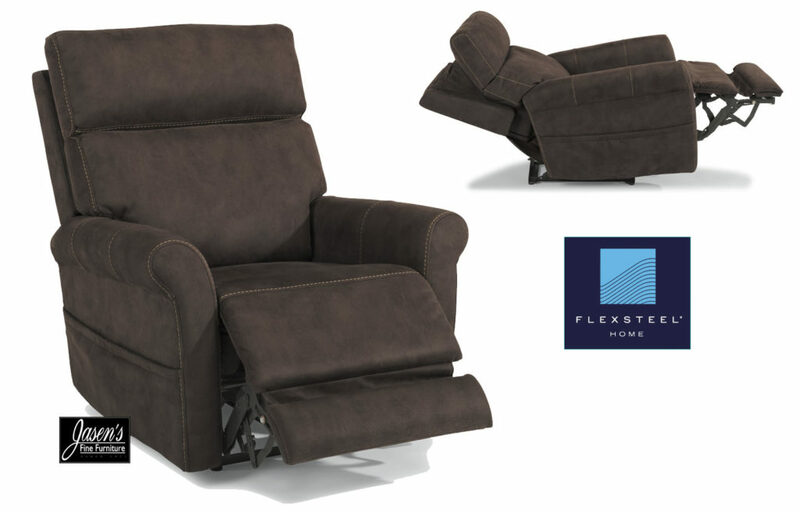 The Flexsteel Owen features sleek, yet comfortable power reclining. The Owen comes with power headrest, lumbar and chaise for maximum comfort. The recliner comes upholstered in a durable, soft, suede-like fabric. Overall dimensions of the chair: 42″h * 36″w * 42″d.